Cottage for 6 -7 people comfortable and cozy. It has a very complete equipment. Six people sleep in a normal bed, the seventh sleeps in an extra bed authorized by the Junta de Castilla y Leon. It is located in San Bartolome de Tormes a small town in the Sierra de Gredos. You can enjoy an environment without noise, ideal for resting or doing other activities related to nature. The house has two floors, in the upper is the kitchen, living room with fireplace, bedrooms and two bathrooms. On the lower floor there is the garage, laundry room, woodshed and the boiler room. The house has everything you need for your stay, full kitchen, towels, sheets, toilet paper, wood for the fireplace, charcoal for the barbecue, etc. 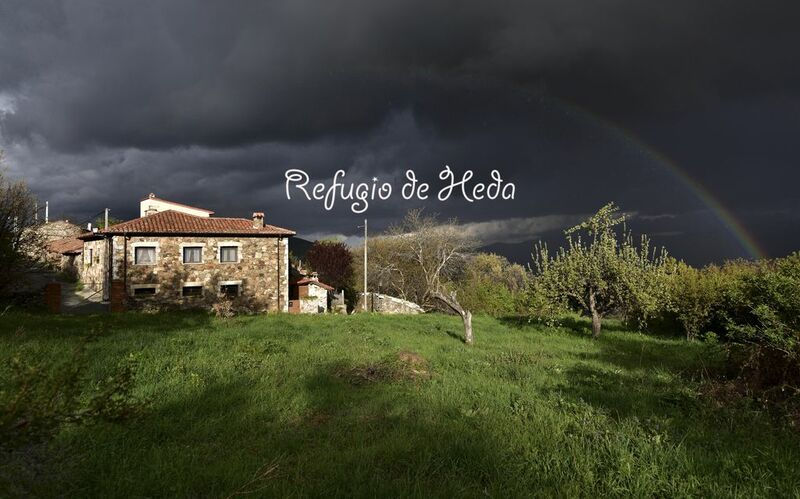 We hope that if you decide your stay at the Refugio de Heda is rewarding. The house has two bathrooms, a spacious common and a smaller one located in the pink room. Remember that the houses are in the Barrio de Arriba of San Bartolome de Tormes. In winter it is mandatory to bring chains if the forecast is snow.